To get started with the 23andMe Personal Genome Service®, navigate to our online store and order a saliva collection kit. Once you have received your kit, you will need to register the collection tube’s barcode so we can connect that tube to you and process your sample. Be sure to provide your sample following the detailed instructions included in your saliva collection kit, and mail your kit back to us in the pre-paid packaging. After our laboratory receives your sample, your results will be available in your account in approximately 3-5 weeks. You can track your sample's progress by logging in to your online account. What type of sample can 23andMe analyse? Who can use the 23andMe Personal Genome Service? Sample processing typically takes 3-5 weeks from the time your sample is received at the lab. Processing times are estimates, and should not be considered a guarantee that your results will be returned by a particular date. While samples are processed in the order in which they are received, some samples may require additional steps to be processed successfully, which may extend the processing time. After you receive your 23andMe saliva collection kit, you will be prompted to create an online account to register your collection tube. The information available to you from the 23andMe Personal Genome Service will be presented in the context of our web-based reports, tools and features accessible through your account online. 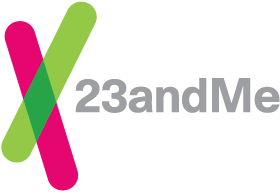 Keep in mind that 23andMe is exclusively an online service, and we do not provide a printed or printable report via mail or email. We use leading technology to genotype your DNA—a custom Illumina HumanOmniExpress-24 format chip. In addition to the variants already included on the chip by Illumina, we’ve included our own, customized set of variants that are of special interest. Technical information on the performance of the chip can be found on Illumina's website. The 23andMe Personal Genome Service can only be performed using a saliva sample collected using the saliva collection kit that we provide to you. The saliva sample required for analysis is ~2 mL. Most people who are able to produce saliva (~2 mL) and are able to spit can usually produce a viable sample. However, if you have received a bone marrow transplant for the treatment of a condition or disease, we cannot recommend that you participate in 23andMe. If you are undergoing medical treatment that reduces your white blood cell count, such as chemotherapy, it is best to wait at least two weeks after your last treatment or until your white blood cell count has returned to normal.